Just wanted to do a quick mid-event (a little past) check in. How are you doing? I haven't been doing too hot, but we still have almost a week so hopefully I'll get more reading in. I did listen to Hercule Poirot's Christmas on audio and I finished another book I've been reading for review, which I highly recommend...The Murderer's Maid by Erika Mailman. Today is Giving Tuesday so I've decided to go ahead and pick a winner for my charity prize of a donation to an organization dedicated to helping those in need. For instance, Second Harvest Food Bank, Salvation Army, Heifer International, etc. I'm making a $20 donation in the winner's name, and since most charities are doubling (or tripling) donations today, that will be a $40 to $60 donation! I will draw from the sign up/starting line list (and, of course, double check participation). Be watching your email, Twitter and/or the Facebook group to see if you're a winner. 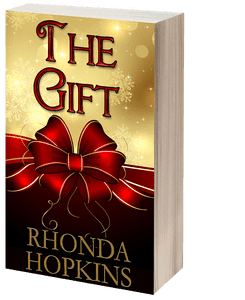 Rhonda Hopkins has generously donated an eBook copy and an audio copy of her books, Survival and The Gift. That's four winners! I will draw for these prizes at the end of the readathon. SURVIVAL is a 14,000 word short story. Sarah Jamison's gaze met her twin's fear-filled blue eyes. "I—"
"It's no use. The cuff is too tight. You're going to have to leave me." Dana put her free hand on Sarah's, stilling their frantic motions. She strode over to the dangling pipe from which she had managed to extricate herself earlier. Grabbing the unattached end, she tried wresting it clear of its fittings, her own wrist dangling handcuffs which clinked against the metal with each pull. Rust and time made it impossible to remove. "No." Tears ran down her face. "I can't leave you, Dana." "You have to. It's the only way we're both getting out of here. You have to go for help." "I'll be okay until you get back. I won't give them any excuse to throw me out to those . . . ." Dana choked back the word they had both been avoiding, choosing another instead. "Creatures." When workaholic Robert Chalmer’s wife leaves to take care of her sick mother for two weeks, he is left with all the responsibility… including his seven-year-old daughter. With Christmas fast approaching, Robert must find a way to reconnect with what is most important in his life, or risk losing it forever. THE GIFT is a 7300 word heart-warming short story set in Fort Worth, TX about family, love, and second chances. Best-selling and award-winning author, Rhonda Hopkins, has learned firsthand that truth is stranger than fiction. Her two decades of experience as an investigator provide her characters with a depth and realism that gives truth a run for its money. Having come in contact with the best and the worst that society has to offer, Rhonda's imagination is filled with story ideas. Rhonda writes Horror, Suspense, Paranormal, and YA Urban Fantasy. I hope everyone is enjoying the readathon! Be watching because the sign up for Winter's Respite Readathon, now all month long in January, will be posted this week. Try to read at least one Christmas book...it is a Christmas readathon, after all. But I won't arrest you if you don't. Also, don't forget the added scary element this year! For full details on the readathon regarding the scary element, etc., visit the signup post here. You do not have to have a blog. Join us from Twitter, Facebook, Instagram, YouTube, Goodreads...or in our Facebook group. Regarding our readathon prize...everyone who completes a wrap-up and adds their name to the linky at the end of the readathon will be entered to win. What's the prize? Since it's the Season of Giving, our prize this year will be a donation to an organization dedicated to helping those in need. For instance, Second Harvest Food Bank, Salvation Army, Heifer International, etc. I will make a $20 donation in the winner's name. This is open internationally. 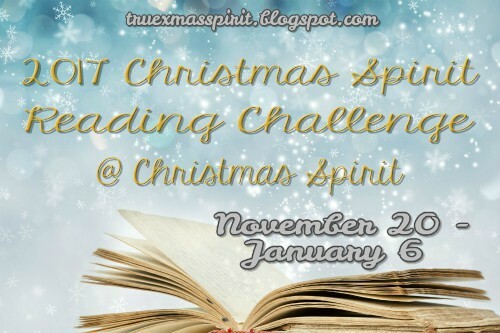 If you haven't already, why not join us for the Christmas Spirit Reading Challenge, which runs all season long, you can do so at my Christmas blog, Christmas Spirit. Would love to have you! Also, my season long Christmas event kicks off over there today. I'm looking for guests so if you love Christmas and want to be my guest to tell us why (anything goes...favorite movies, books, family memories, traditions), please stop by over there and leave me a message in the contact form. Can you tell Christmas is my favorite time of year? Yup, I love it!!! We are once again kicking off the Christmas Spirit Reading Challenge over at Christmas Spirit, with the annual Christmas Spirit Read-a-Thon...and it's now two weeks long! 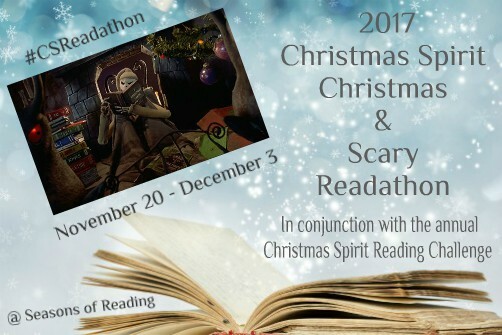 The Christmas Spirit Readathon has a twist this year! It's a Christmas and Scary Readathon. Personally, I read scary (horror) books all year round, but I know many people reserve that kind of reading to October. But that's just ONE month! So, I decided to create this twist to give people the excuse to read scary for at least a couple more weeks (if no more!). What does this mean? Well, you can read Christmas, or you can read scary, or you can read both. For example, A Christmas Carol could also be labeled as scary/spooky because of the ghosts. Dickens also wrote other spooky Christmas tales (check his "Christmas Books"). However, don't think your scary has to have a Christmas theme. You can read non-holiday scary, or you can read a Christmas themed mystery (which can sometimes be scary), or you can choose all Christmas books. It's entirely up to you! as usual, you do not have to have a blog to participate...feel free to link up and check in from Goodreads, Facebook, Twitter, YouTube, Instagram, etc. AND interact with us in our Facebook group. Hope I haven't forgotten anything. If you have any questions or notice something I've left out, please feel free to contact me via the sidebar menu.